Volcanoes National Park is lucky to be host to both Mountain Gorillas and Golden Monkeys. The Golden Monkey (Cercopithecus Mitis Kandti) is a local subspecies of the widespread Sykes Monkey, also known as the “Blue Monkey” and is endemic to the high-altitude forests of the Virunga massif. Golden monkeys are a beautiful sub species of monkeys from their golden coat, long tail to the playful and intrusive character. They spend most of their time leaping from bamboo branches or skipping on the forest floor in a manner that offers lasting memories to those who come to trek them. Their amazing and impressive character has made golden monkey trekking one of the popular Rwanda safari activity tailored to gorilla trekking. There are two habituated (made used to the presence of people) groups of Golden Monkeys in Volcanoes National Park of which tourists trek on their safaris in Rwanda. Each of the group comprises around 80 – 100 members which is a great sight to witness when you get close to the monkeys. Golden Monkey trekking starts in the morning from the park headquarters of Kinigi at 7:00am and lasts about 4 hours with no limited number of tourists allowed to trek a golden monkey group. 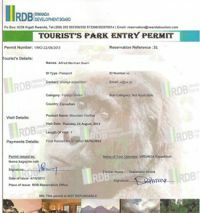 A golden Monkey permit is currently USD100 per person per trek and tourists are permitted to stay for 1 hour with the monkeys. 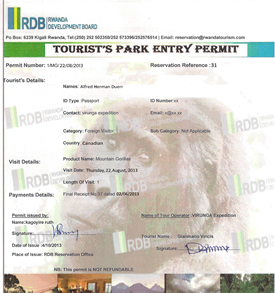 Permit booking can either be arranged in advance or booked at the park headquarters on the morning of the trek. 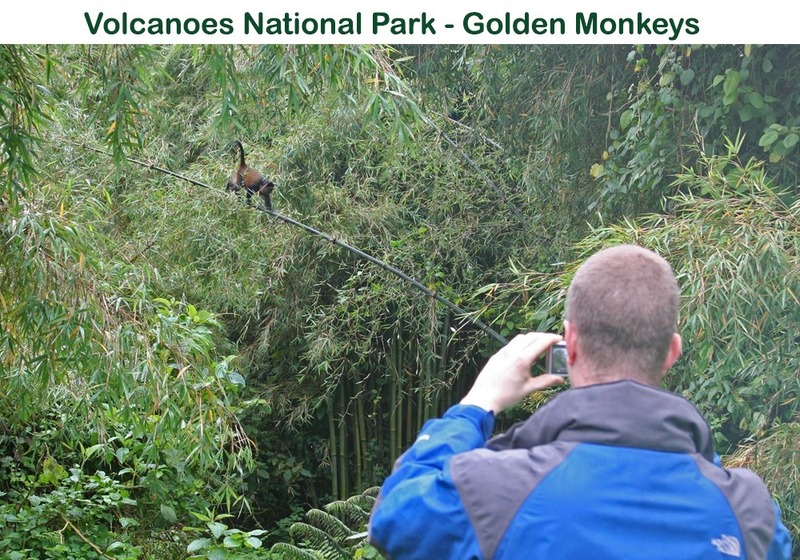 It is easy to find the golden monkeys since they mostly live at the bottom of the Volcano Mountains with in the bamboo forest, and by just following the traces of fresh leftovers from the bamboo shoots eaten, the trackers are then able to locate them with in less than an hour. In case you need porters to help with luggage, they can be hired at the entry point of the park. A visit to Dian Fossey Centre on a Rwanda gorilla safari is a popular activity because of its relatedness to gorilla trekking. Dian Fossey Centre was set up in remembrance of Dian Fossey, a primatologist who lost her life in the gorilla conservation efforts. 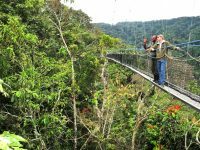 The visit involves a 30 minutes’ drive from the park headquarters to the trail head to access the Karisoke research camp where tourists walk for 10 minutes to the park boundary. The walk from the park boundary to the research center where the Dian’s grave is, takes about 1 ½ hours within the forest with possible sightings of forest hogs, forest elephants, a variety of primates and bird species. This visit is more than just a hike but an exceptional experience physically, emotionally and intellectually. 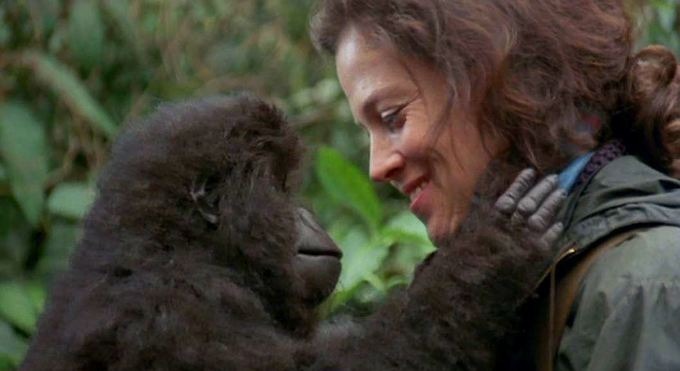 It is so inspiring to learn about someone who was so dedicated and lost her life building a legacy that has seen Mountain Gorillas as the only great apes facing a population growth. If you would like to have a hiking adventure added to your Gorilla trekking safari in Rwanda then you can have it. The hiking spots include Mount Bisoke that stands at 3,700 meters above sea level, with a deep crater lake on the top. The hike does not require prior hiking experience; you only need to be physically fit, due to the high elevation and length of the climb. You spend about 5-7 hours depending on your hiking ability. The other is Mountain Karisimbi which is the second highest volcanic peak in the Virunga ranges and takes two days and one night to experience. At the volcano’s top, you will enjoy fantastic views of the other five volcanoes and the beautiful Twin Lakes of Rwanda, Burera and Ruhondo. 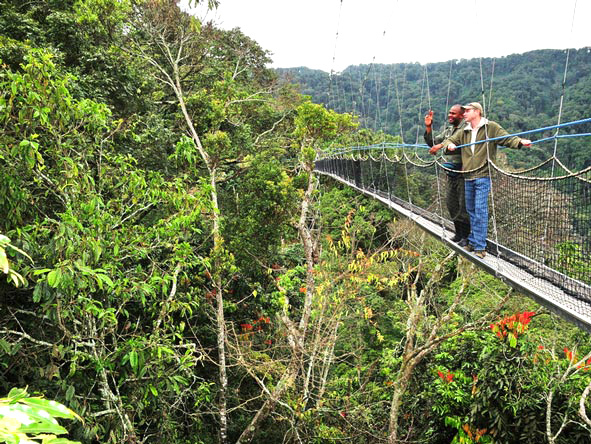 Gorilla trekking is becoming the trendy thing to do while on an African safari. 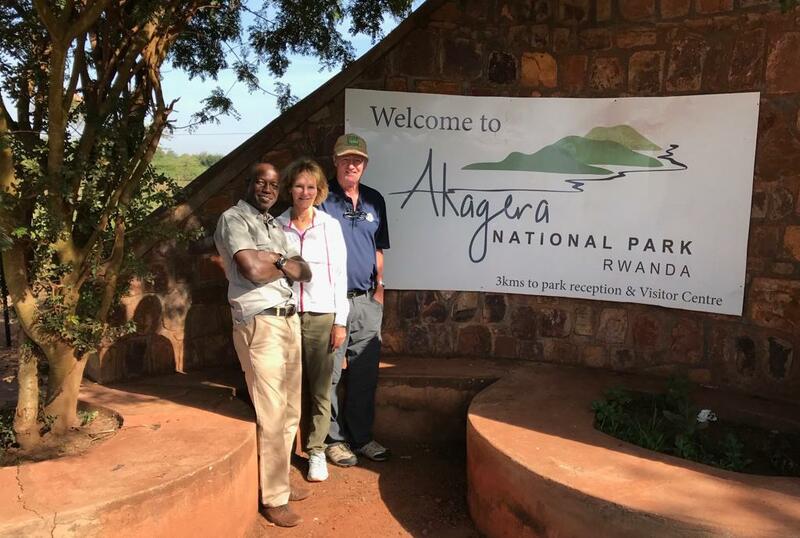 The experience isn’t only restricted to Rwanda but can be gotten on a Uganda gorilla trekking safari or Congo gorilla trekking safari making since they all have mountain Gorillas.